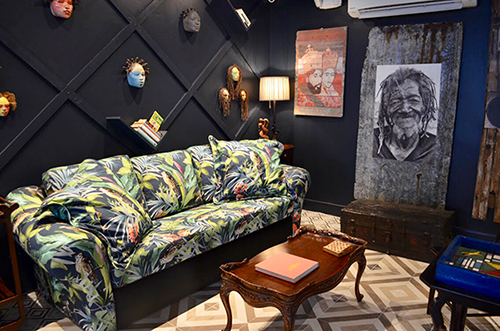 flare in its decor, wall ornaments and the Ludo boardgame set up at a coffee table. 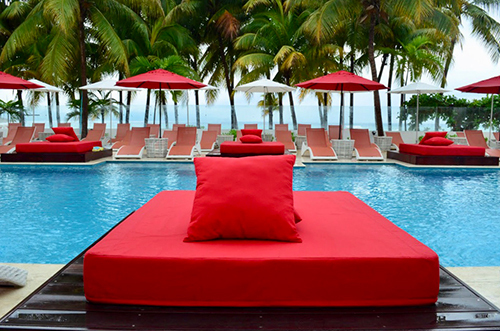 Montego Bay's newest S Hotel exudes a modern chic SoHo-esque style that fits right into the area's vibrant Hip-Strip. Formerly a Breezes resort, the property was completely renovated and remodelled to the tune of roughly US$25 million and hosted its official opening party on 27JAN. 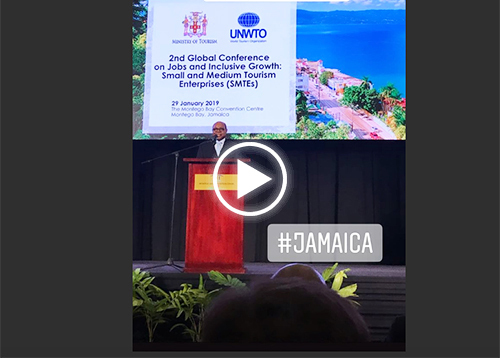 Open Jaw’s Anna Kroupina was on hand as part of her coverage of the Caribbean Travel Marketplace 2019. The decor is essential to the property, bringing in a local Jamaican spirit that the hotel is proud to flaunt, down to the last little details like a Bob Marley-themed turnable some guests can find in their room, local craftwork adorning the walls and halls, and domino gametables set up in various areas around the property. "We want to encourage people to get off the property and one way to do that is to inspire people with local art and architecture," says Erika Vivas, spokesperson for S Hotel. 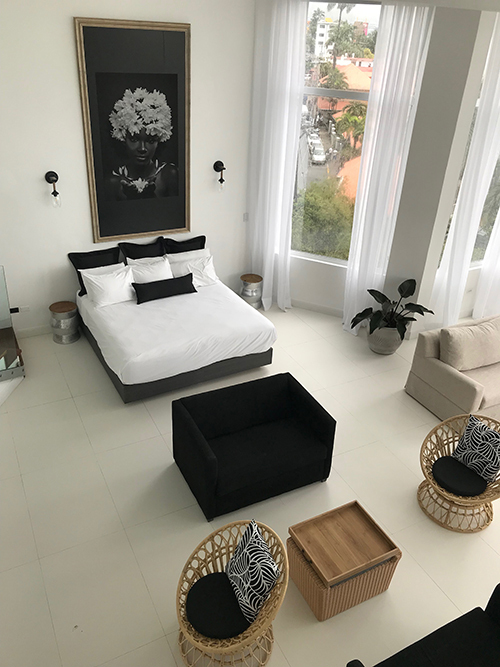 Standing six floors tall, the hotel offers 120 rooms of three categories: the Essential starting at US$229 per room, per night for double occupancy, the Spa and a Presidential suite spanning two floors. S Hotel, operating on the EP model, has a cafe and three restaurants: a Jamaican-fusion a la carte called Rocksteady, a buffet-style restaurant that is as of now yet to be named and a poolside grill. Guests can stop at a bright red lounger by the large private pool on the ground floor or, if the mood strikes, continue walking past it for direct access to the famous Doctor's Cave beach. The fifth and sixth floors feature a sky deck with a rooftop pool and bar overlooking the ocean. Following comments from Jamaica’s Tourism Minister Bartlett, take a short property tour of the S Hotel. 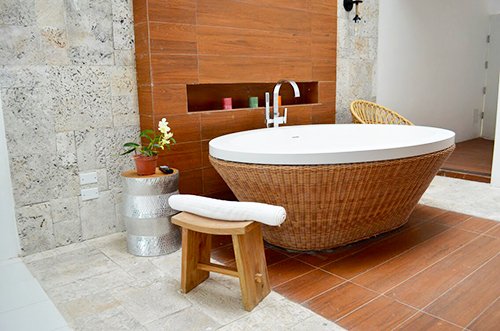 A tub in the Spa suite looks rather inviting. where guests can also access Doctor's Cave beach. There is one Presidential suite at S Hotel. The room spans two floors and has a kitchenette.